Which Mango Trees Can Be Grown in Canada? Mango trees are native to warm tropical climates. When one thinks of nations that grow mangos, Canada does not come to most people's mind. 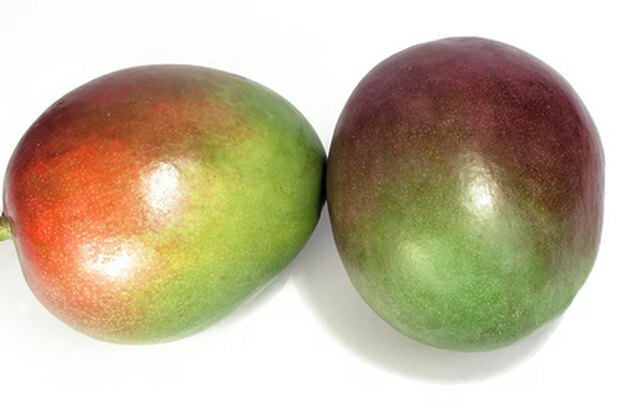 Mangos do not last in cold weather climates as they can die when temperatures go below freezing. However, there are certain mango plants that can survive in Canada. Having information on the mango tree varieties will help you find the right plant for your gardening needs. Mango trees are native to tropical environments. The key to growing a mango tree in Canada is having a small enough variety to plant in a pot to store in the home or greenhouse in the winters. Temperatures under 32 degrees Fahrenheit can greatly damage a mango tree and even kill it. The Cushman mango is a medium-sized mango tree that is ideal for planting in a container and storing in a greenhouse in the winter. Cushman mango trees produce mangos that resemble grapefruits in appearance. During the spring, summer and most of fall, place your plant in full sun outside. As cold temperatures come in, bring your plant in a climate-controlled area. The Cushman mango is an evergreen; if you chose to store your plant indoors, it will provide greenery all year. The mango is smooth and creamy in flavor and texture. The Cogshall is a semi-dwarf mango tree and is part of the 'condo mango' variety, meaning it is ideal for planting in containers. Very fungus resistant, the tree's fruit ripens through June and July. Growing only to 8-feet tall, the plant produces a hardy yield. The fruit's peel is red and green and, the flavor is sweet and mild. Because it ripens during Canada's hottest months, the plant can be set in a container and placed outside. The Carrie mango is the smallest variety of mango trees and is often called a dwarf mango. 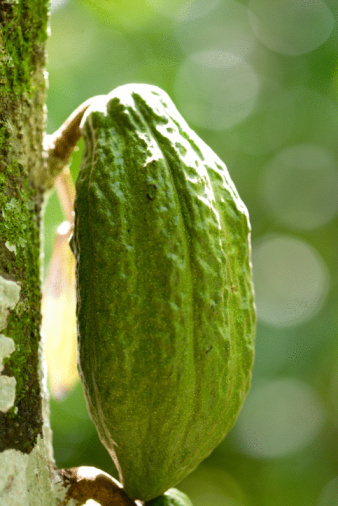 The fruit, which is about 4 inches in length, is known for its rich, sweet flavor. Very disease and fungus resistant, the tree is ideal for growing indoors in winter and placing outdoors in the sun, making it one of the best mango trees to grow in Canada. The fruit ripens from June to July. Pick fruit when the base of the mango begins to exhibit a slight yellowing. When outside, place in full sun. What Fruits & Vegetables Are Grown in Ohio?